What is the function of a frame? What does it say about the artwork it surrounds and how do the frame and work relate to each other? These are some of the questions I have thought about over the last few months while I have been immersed in the Hawke’s Bay Museum’s Trust (HBMT) re-framing project.The idea for the project was hatched in 2008 with the exhibition Open Home. 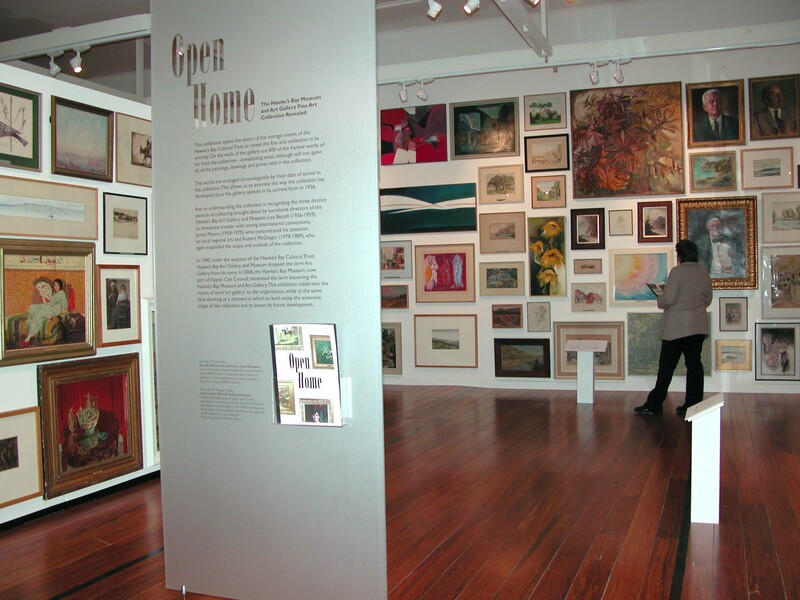 Almost every artwork in the fine art collection was installed from floor to ceiling in the Malden Gallery, comprising of 700 artworks and spanning 80 years of the HBMT’s collecting. This exhibition gave everyone, – the public as well as staff – an opportunity to view the fine art collection in its entirety for the first time. One of the outcomes of the exhibition was that many of the artworks were in need of re-matting and re-framing. Although most of the works were originally framed to the best standards at that time, we now know the damaging effects of the acidic materials commonly used in the past have upon works of art. Aside from the need for acidic materials to be replaced with museum grade materials there were also cases of broken, missing and inappropriate frames. Over 100 key artworks were identified for re- matting and/-or re- framing. With generous funding assistance from Eastern and Central Community Trust the reframing project was able to begin in 2011. So back to my initial questions: What is the function of a frame and what is its importance to the artwork? The most obvious function of a frame is to protect and support the artwork it contains, but the frame (or absence of a frame) also says something about the artwork and artist intent. It also provides context and adds to the viewer’s appreciation of the artwork. “Helen” by Alfred Chalon, Hawke’s Bay Museums Trust/Ruawharo Ta-u-Rangi , Before and after images. 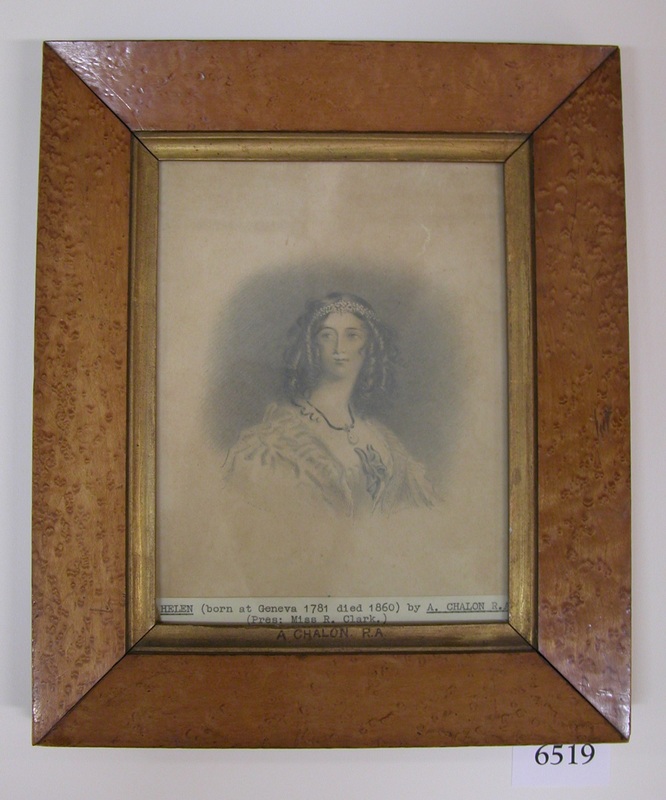 This small work titled -“Helen”- by Alfred Chalon has a frame constructed using an inexpensive softwood which has been covered in a thick burr walnut veneer on the front surface only. When viewed from the side this construction method can be seen. This frame, being concerned with surface appearance, provides interest to the work especially as Alfred Chalon was a portrait artist to the high society of London during the first half of the 19th century. On this occasion we made a decision to retain the frame in its original condition but to re-mat the artwork. These before images show – “Lady With a Fan”- by Jenny Campbell in its original frame. The back view highlights the inadequate way the artwork had been housed within the frame. “Lady With A Fan” by Jenny Campbell, Hawke’s Bay Museums Trust/Ruawharo Ta-u-Rangi [58/361], © Michael Hipkins 1970, Before images. 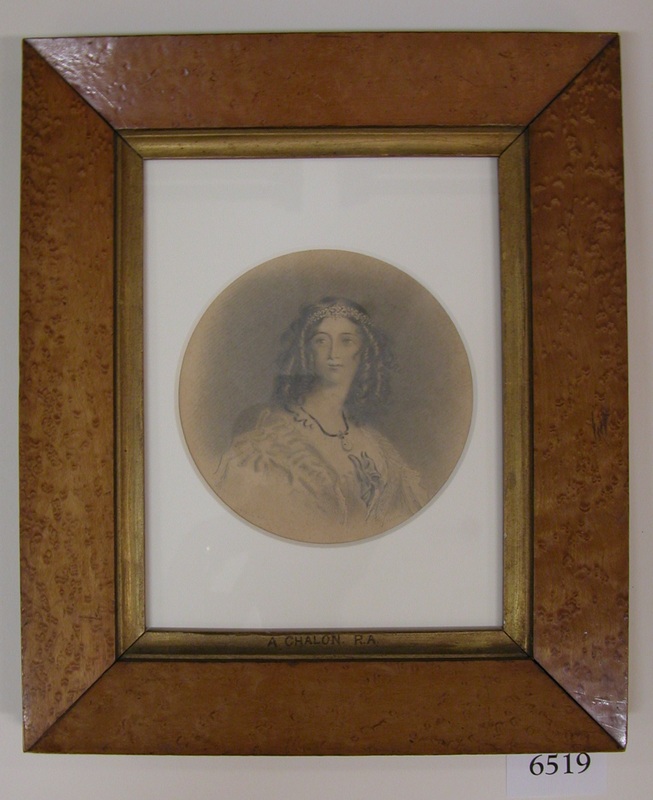 Because the frame was original and the same profile and finish as other Jenny Campbell frames in the collection the decision was made to retain it but to remount the artwork in a secure and safe manner as pictured. 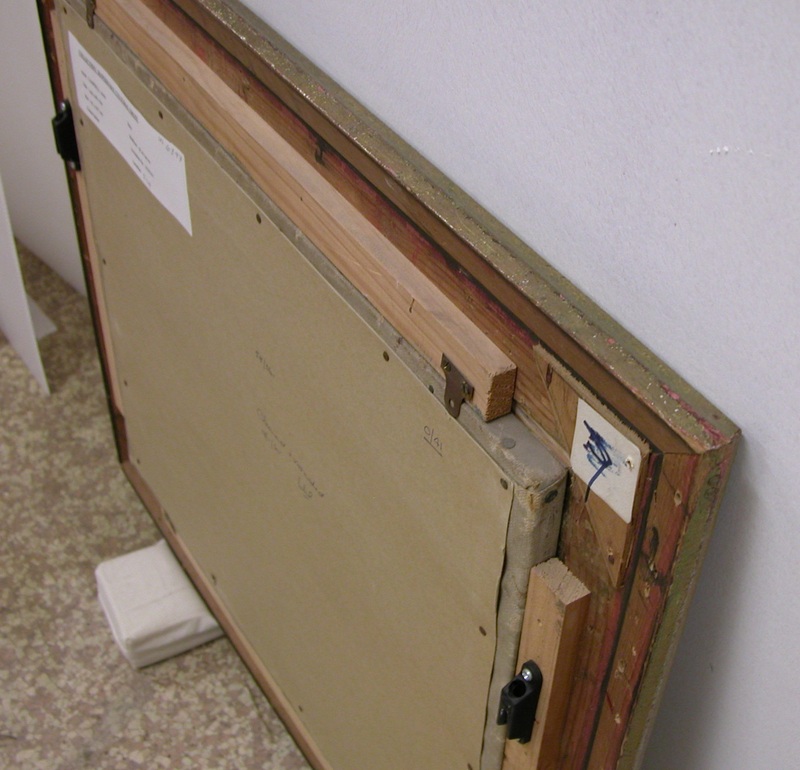 This image shows a timber build up made to protect the canvas stretcher. 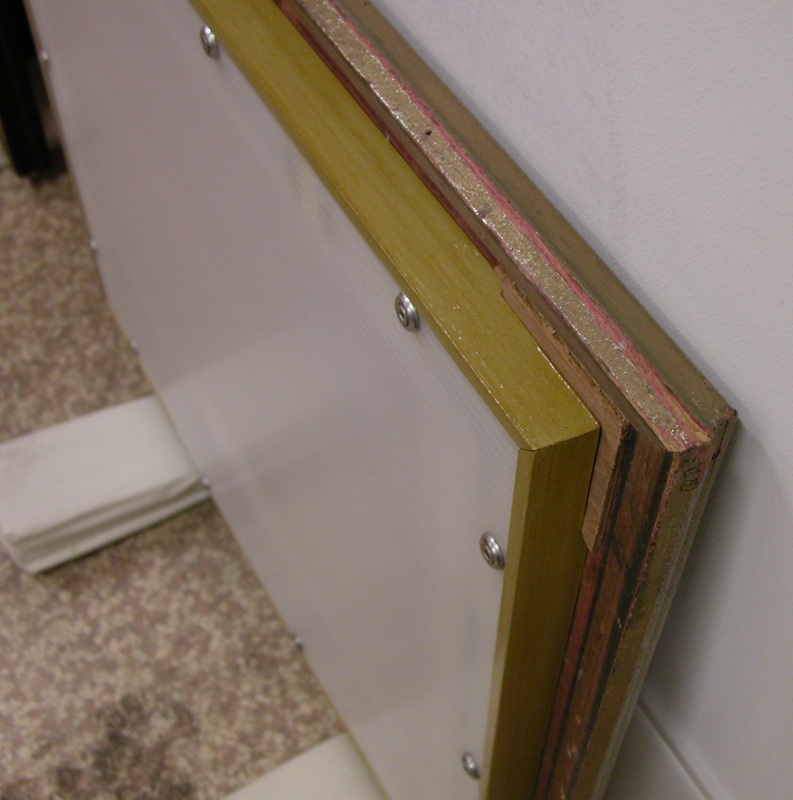 Also a rigid chemically inert backing replaces the original acidic cardboard backing. As the framing project has developed so has my appreciation of the significance of an original frame. Historically, as artworks were bought and sold, new owners would often re-frame them as a sign of possession – so it can be rare to find an artwork still in the frame the artist intended for it. This is a problem that exists in many of the world’s older art collections. Whilst the ideal scenario would be for every artwork to be housed in the original frame intended for it, it is all too often missing or damaged. Where there is a need for an artwork to be re-framed the intention within museums today, and our intent in undertaking this project has been to examine each artwork individually and select a frame that is sympathetic with the work in size, colour, shape and historical period. A task which is not always easy to achieve. Below are two examples of artworks that have been reframed. The first work -“Gallipoli”- by Horace Jones had been matted in an acidic mat and framed with an unassuming and structurally unsound moulding. 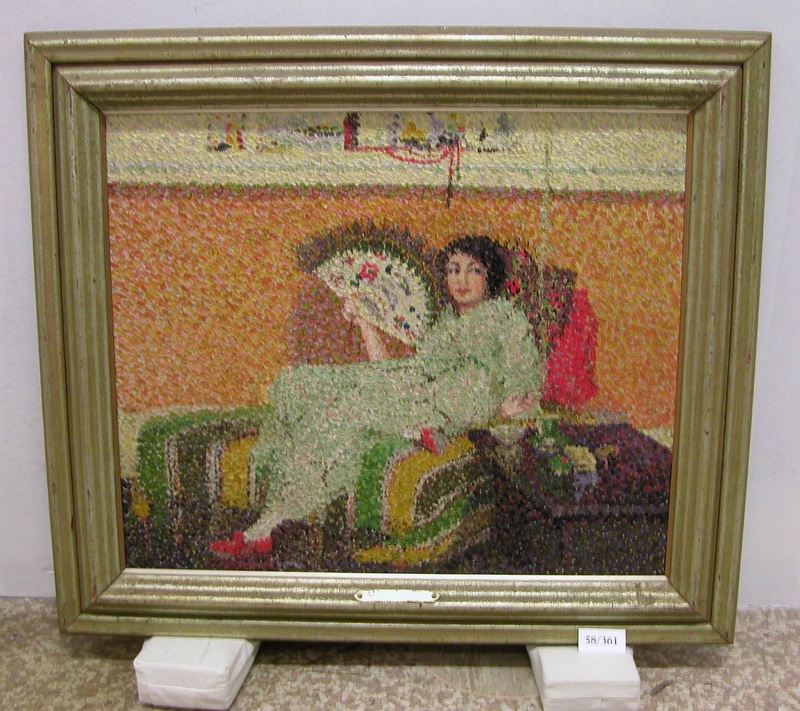 The artwork was removed from its frame and sent to a conservator for treatment. “Gallipoli” by Horace Jones, Hawke’s Bay Museums Trust/Ruawharo Ta-u-Rangi [64/63], Before image. With the treatment complete the watercolour has a sense of clarity and light which was previously obscured. The artwork has been matted with a museum matboard and re-framed using a more substantial moulding appropriate for the period of the artwork. “Gallipoli” by Horace Jones, Hawke’s Bay Museums Trust/Ruawharo Ta-u-Rangi [64/63], After image. 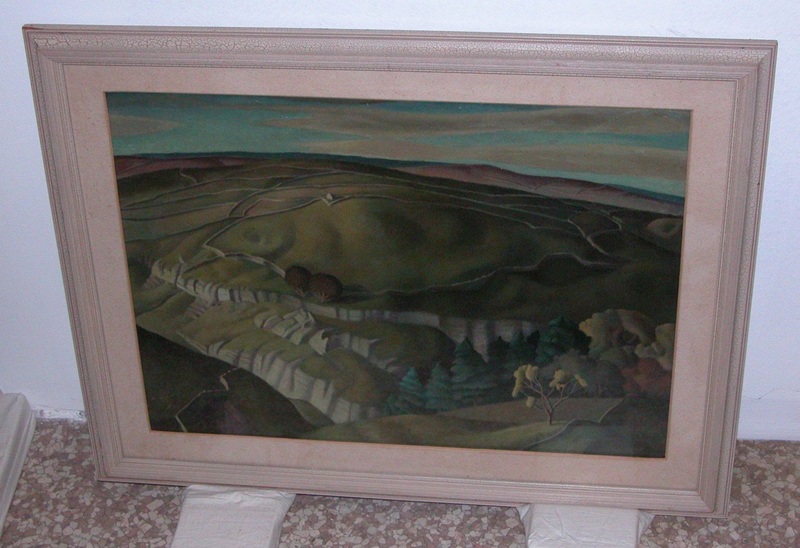 The second work – “Limestone Workings, Derbyshire”- by Harry E. Allen was framed in a way which did not highlight the quality of the artwork. 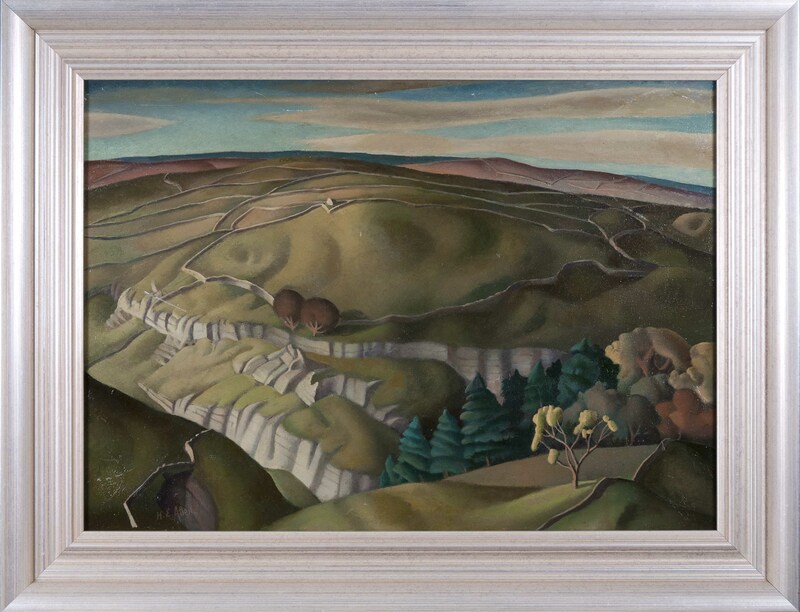 Harry Epworth Allen produced a body or work in his highly distinctive style during the English landscape revival of the mid 20th century. 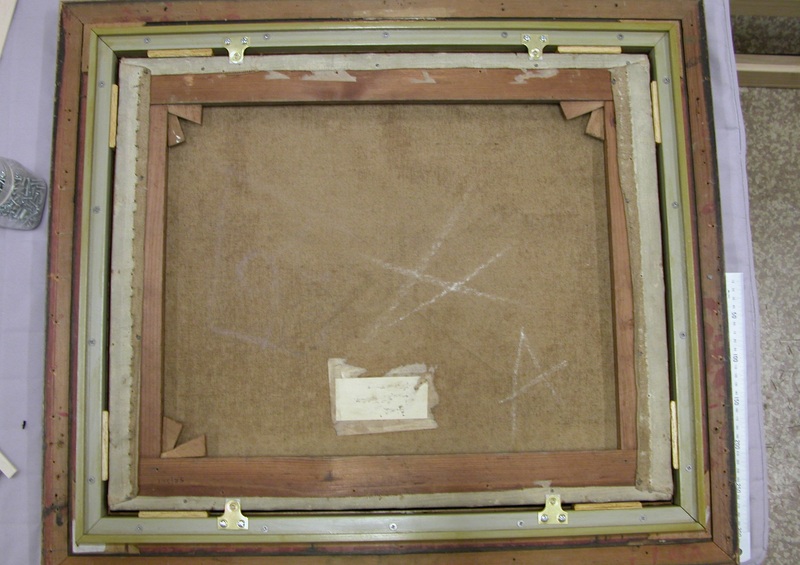 The frame was in poor condition and the framing package contained a variety of acidic materials. “Limestone Workings, Derbyshire” by Harry E. Allen, Hawke’s Bay Museums Trust/Ruawharo Ta-u-Rangi [64/68], Before image. The mat has been removed and a sympathetic moulding has been chosen to re-frame the work. Now the new frame draws the viewer into the work and helps give new life to the rich tones and forms within the landscape. “Limestone Workings, Derbyshire” by Harry E. Allen, Hawke’s Bay Museums Trust/Ruawharo Ta-u-Rangi [64/68], After image. For a more in depth look at the re-framing process as well as research into a mysterious artwork, look out for my upcoming blog “An Italian Fisherman in Hawke’s Bay”.